Do you have stubborn areas of fat that you just can’t seem to get rid of with proper diet and exercise? If so, then CoolSculpting may help you achieve the smooth, trim figure you want with little to no downtime. 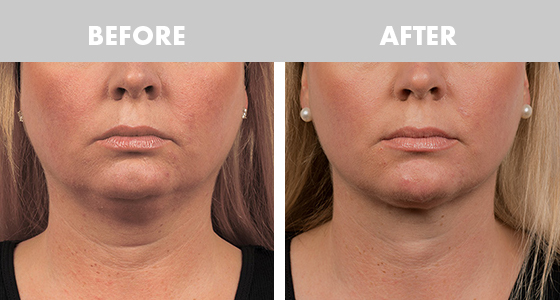 Traditionally, these results were only attainable through plastic surgery, which is invasive and has an extensive recovery process. CoolSculpting is a revolutionary, non-surgical body contouring procedure that has proven effective for more than 7 million people across the globe. Request your consultation today! Why Choose Rock Creek Wellness? CoolSculpting is an innovative, non-invasive fat removal procedure that can help you get rid of those stubborn love handles, pockets of abdominal fat, and other types of fat deposits on your body. This allows your clothes to fit better, can enhance your self-esteem, and boost your self-confidence. In simplest terms, CoolSculpting freezes unwanted fat cells to eliminate them from your body. The procedure uses state-of-the-art controlled cooling technology called cryolipolysis to cool fat cells to just above freezing. This causes crystals to form in the fat cells. In the weeks following your treatments, the crystallized fat cells die, allowing your body to naturally process and remove them. The result is a 20 to 25 percent long-term reduction of fat cells in the treated area. While a healthy diet and regular exercise may shrink the fat cells, they cannot reduce the number of them as CoolSculpting can. Yes, the procedure is a reliable and safe method to get rid of unwanted fat. It has been approved by the Food and Drug Administration (FDA) for reducing visible bulges of fat on several areas of the body, and millions of treatments have been safely completed with no negative long-term side effects. There is no anesthesia and no incisions involved in the procedure. Additionally, all CoolSculpting systems have built-in safety devices in place to ensure the skin doesn’t get too cold, and providers who are certified to provide the treatment have undergone extensive training. The biggest benefit of CoolSculpting is that there is little to no downtime following the procedure. This is because the procedure involves no surgery and treatments times are relatively short — typically between 35 and 60 minutes for the vast majority of patients. In fact, many patients return to work as soon as their treatment is over. The same cannot be said about liposuction or other invasive fat removal methods, making CoolSculpting a preferred body contouring treatment for patients. The CoolSculpting treatment is safe for both men and women, and most individuals are qualified candidates for the treatment. That being said, it is important to note that the procedure is not a treatment for obesity, and it may not be suitable for those who have cryoglobulinemia, cold agglutinin disease, or paroxysmal cold hemoglobinuria. Our physicians will review your medical history and fat removal goals with you during your consultation to determine if you are an eligible candidate for the procedure. Are you ready to discover the new face of fat removal and body contouring? Contact Rock Creek Wellness to learn more about CoolSculpting and request your initial consultation today!